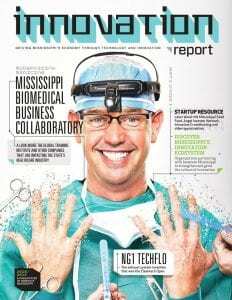 Our 2019 cover story is on virtual reality in Mississippi and the growth of Lobaki as a major part of that. 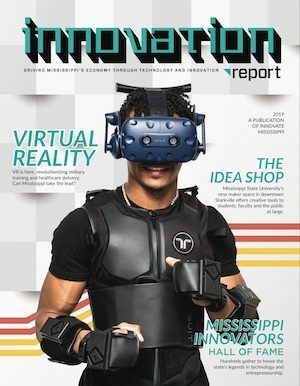 With both for-profit and non-profit organizations, Lobaki hopes to make Mississippi the epicenter of a massive movement to train VR creators and put them to work on game-changing projects in industries ranging from corporate training to healthcare to military and first-responder applications. 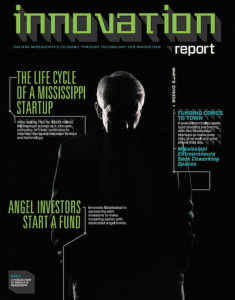 Inside the magazine: The Idea Shop opens in Starkville, Mississippi Seed Fund awards, exploring the innovation ecosystem, Innovate Mississippi’s impact, Innovate Mississippi events, Inductees into the Mississippi Innovators Hall of Fame, Angel Funds launch and expandd, the Mentor Network, Entrepreneur in Residence and more! 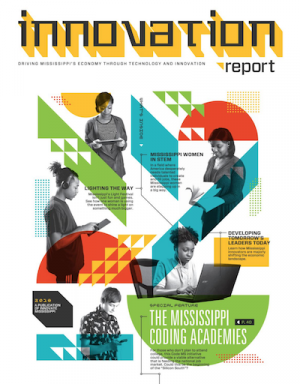 Please scroll down to see earlier editions of Innovation Report. 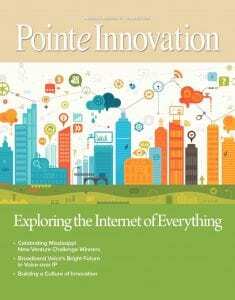 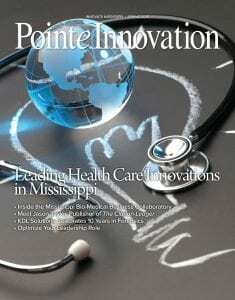 Click here to see our archive of Pointe Innovation magazine.